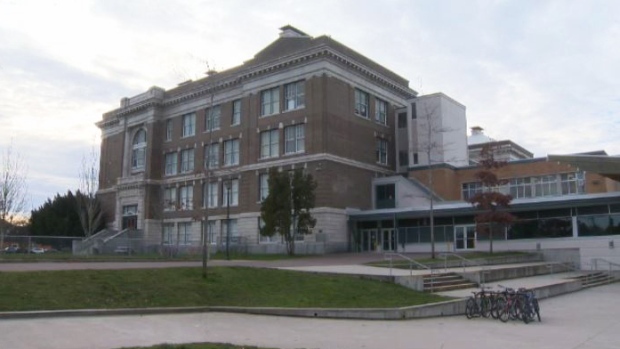 Proposed seismic upgrades at Victoria High School are being put off for one year while work is completed on another facility that will host students during the construction period. The Greater Victoria School District's original plan was to upgrade the SJ Willis Education Center and house Vic High students there. But the board says the work at SJ Willis won’t be done on time to accommodate students this year. “Initially we were optimistic, or we were hopeful that everything we needed would be done on time to move for 2019, but in reality it is going to be September 2020,” secretary treasurer Mark Walsh said. But the board is taking the delay in stride. They say it will give them time to smooth out details surrounding athletic amenities, theatre upgrades and the neighborhood learning center that have been planned in the seismic upgrade. “And so now rather than having to rush those conversations we have time, and so I think the message is that were quite ok with the process because we want to get it right,” Walsh said. Admittedly, the process has a lot of moving parts. “One of the most complex seismics I would suggest in this province’s history,” Walsh said. Staff and students from SJ Willis have been moved to a newly renovated Burnside Elementary School. That school also received seismic upgrades and has recently reopened as the Burnside Education Centre. The next step in the school yard shuffle is to renovate SJ Willis, creating classroom capacity for the students from Vic High. “What we need to do is essentially get it ready for a modern high school,” Walsh said. Following upgrades at Vic High, the school board plans to use SJ Willis as a “swing space” to accommodate upgrades that will eventually occur at other schools in the district. Vic High was built in 1914, and is considered to be one of Western Canada’s oldest high schools. Last summer the school board voted to upgrade the existing building over demolishing it and starting from scratch. The plan still has to be approved by the provincial government. The $73.3M price tag -- which is $5-million more than building a brand new school -- includes added space for 1,000 students as well as the construction of a neighborhood learning centre.